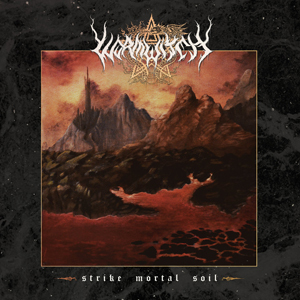 WORMWITCH Stream New Track, "Even The Sun Will Die"
Filled with "lurching, methodical cadences" plus "jagged tremolo riffs and bloodcurdling screams", WORMWITCH are excited to reveal the newest single off their full-length debut album, Strike Mortal Soil. Take a listen to the slow and harrowing track, "Even The Sun Will Die", below. Integrating equal parts black metal savagery and rock n' roll defiance, Strike Mortal Soil, stands like a monolith commemorating those that came before while dispersing a beacon of hope to the future. Recorded with Curtis Buckoll (ARCHSPIRE) at Rain City Recorders, the album showcases their darkest, heaviest and most primitive sound to date. Available digitally, on CD and limited edition LP in lightning bolt blue w/ black specks on May 12, pre-order your copy today from smarturl.it/StrikeMortalSoil. "Even The Sun Will Die"
"...And Smote His Ruin Upon The Mountainside"